Manufacturer of a wide range of products which include digital surface profile gauge, elcometer 7400 moisture meter, cross hatch adhesion tester, cryo babies and cryo tags, elcometer 108 hydraulic adhesion testers and elcometer 122 testex tape. Our company has achieved widespread recognition for offering Digital Surface Profile Gauge to the clients. This product is used to measure the effects of corrosion i.e. pitting and cavity depth etc. offered range is initially set to zero with the glass zero plate and the foot is then placed on the blasted profile. Certificate Available: Certificate of Calibration: issued for Fixed Calibration equipment and shows readings and traceability. The natural feel of the Elcometer 7400 moisture meter makes it easy to use, allowing the pins on the end of the instrument to be pressed into the material to be measured. The thin pins allow easy measurement of the moisture content of sawn timber, chipboard and fibreboard materials up to a maximum thickness of 25mm (0.98”) as well as normal gypsum and mixed plaster. We are the renowned company known for offering Cross Hatch Adhesion Tester to our important clients. 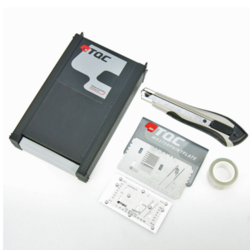 This product is mainly used to test the adhesive property of various applications. offered range is utilization of standard quality components and highly-advanced technology at par with set industry norms of quality. 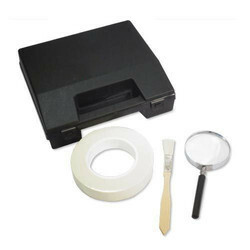 Each cross hatch gauge can be supplied separately or combined in a kit with a standardised brush and x10 magnifier. 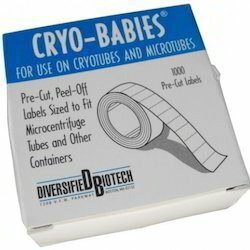 These labels withstand conventional and cryogenic storage conditions. They withstand boiling water baths at 100°C and dry heat up to 150°C without degrading. 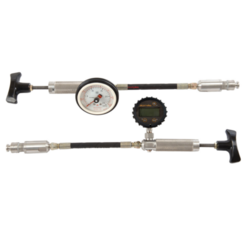 The Elcometer 108 Hydraulic Adhesion Tester is an extremely versatile Type III adhesion gauge which can be used for many adhesion requirements. Adhesion tests can be made on flat or curved (concave and convex) surfaces. 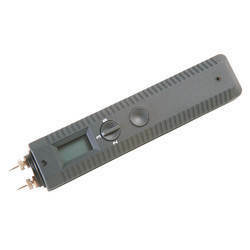 The Elcometer 108 adhesion tester is the ideal gauge for testing coatings on tanks, pipelines, etc. The Elcometer 108 adhesion tester can be used with convex and concave dollies, making this the gauge for adhesion of coatings on all pipelines including those with small diameter, tanks and other curved surfaces. There is a wide range of curved dollies available, each designed for a specific range of curvature. 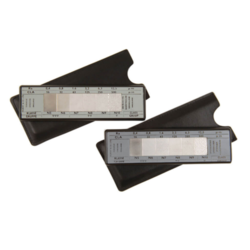 The Elcometer 122 Testex® Replica Tape is designed to provide a permanent mould of the surface profile, which can then be measured using a thickness gauge. Elcometer 122 Testex® Tape consists of foam with a non-compressible backing. The foam side is rubbed into the surface providing a permanent mould of the peak-to-valley profile. The profile of the surface can then be measured using the Elcometer 124 Thickness Gauge. Elcometer 122 Testex® Replica Tape is available in four profile ranges. It is important that the tape grade chosen is reflective of the profile being measured. 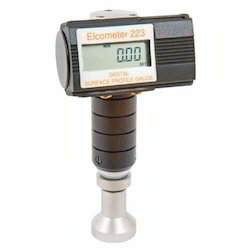 The Elcometer 3120 range of durometers is widely used to test the hardness of soft materials. A round point indents the material under a fixed force spring and the hardness is displayed on the dial in Shore Hardness Units.The instrument can be either hand held or fitted to an optional stand for increased repeatability.The Elcometer 3120 range of Shore Durometers encompasses a number of hardness values. Standard test for material hardness. Easy to use with immediate results. Wide range available depending on the material to be tested. We have gained expertise in offering Zero Test Plate to our most important clients. This product is used for rapid in-situ measurement of the structural properties of existing road pavement constructed with unbound materials this product is manufactured by advanced technology with help of dexterous professionals. In some cases, it may be difficult or impractical to obtain an uncoated substrate. For this reason Elcometer provides a range of Zero Test Plates. Thickness Gauge Range 50 microns up to 160 microns. Applicator Range 0 to 180 um. Dimensions 100 x 55 mm. 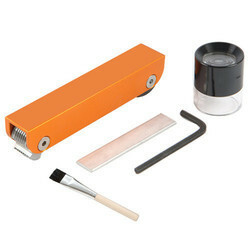 We are the foremost company for providing Cross Hatch Cutter Kit to the clients. Offered range of Cross Hatch Cutter Kit is manufactured by our experts using optimum quality material with the aid of cutting technology. This product is examined on different parameters with the help of our experienced professionals. Roughness is displayed in both "classes" and "roughness averages" for easier identification. Available in Metric only. 6 Roughness Values per Comparator. 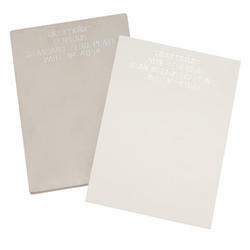 The Elcometer 135A & 135B Bresle Patches are used to determine surface chloride contamination. 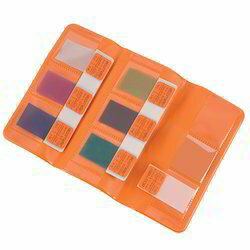 The Elcometer 135A Bresle Sampler is a self-adhesive rubber film patch with a sealed compartment for sampling of soluble impurities from steel surfaces with a suitable solvent. The Elcometer 135A Bresle Samplers are also part of the Elcometer 138/2 Surface Contamination Kit. 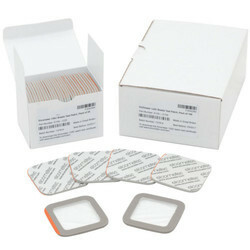 Elcometer 135B Bresle Patches are used to determine surface chloride contamination and are self-adhesive rubber film patches with a sealed compartment for sampling soluble impurities from steel surfaces with a suitable solvent. 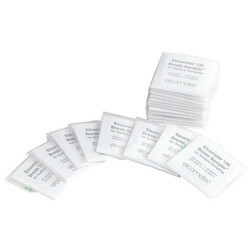 Elcometer Bresle Patches are also available as part of the Elcometer 138 Bresle Salt Kit. The Elcometer 135C Bresle Test Patch determines the concentration of soluble salts on uncoated surfaces in accordance with the ISO 8502-6 test method. We are the famous company known for providing Precision Foil Set to the clients. Offered range is manufactured by our professionals in obedience to the quality standards using the best quality raw material and ultra modern technology under the guidance of experts. This product is properly checked on numerous parameters by quality inspectors. Calibration foils or ‘shims’ are the most convenient way of creating a coating thickness standard on the substrate material, surface finish or form. This is the ideal method for adjusting the calibration of the coating thickness gauge to ensure the greatest possible accuracy. We specialize in the domain of providing Salt Contamination Meter to the clients. This product is wrapped up in a special filter paper soaked with distilled water. 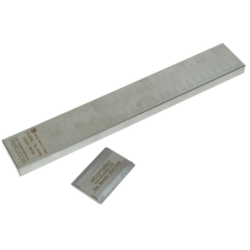 Offered range is helps in measuring the conductivity of wet paper, measure the level of the salt and display the result. Salt Contamination Meter is tested by under the quality levels as per industry norms. Shows salt build-up on vulnerable surfaces, which can be cleaned to increase the lifetime of a coating. Test papers can be re-moistened and a similar test result can be achieved; ideal for proof and ISO requirements.